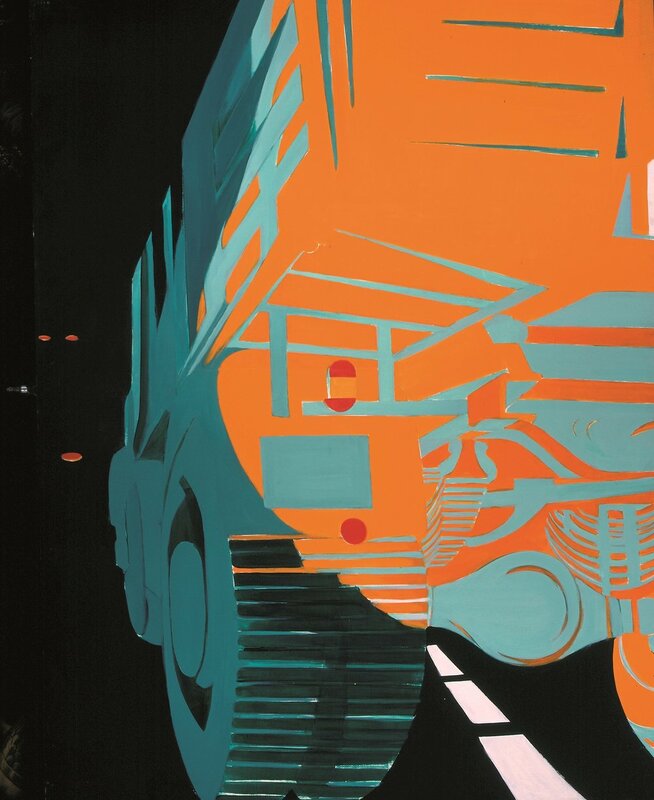 Twentieth-century artist Titina Maselli's 1968 painting exemplifies her city-inspired work. She zeros in on symbols that were uncommon for art in her time. Journalists Daniela Tanzi and Andrea Bentivenga offer insight on her favorite themes in their description of the artist for La Voce di New York 2016. "Through her works, Titina Maselli was a superb narrator of these two cities [Rome and New York] and, in own her way, she was a like a researcher of urban reality, summing it up in an ultra-personal way in her art. Even today, she shows the essence of two very different metropolises that are not divergent. 'I want to paint things that are familiar but never looked at hard enough,' she would answer when asked to describe her favorite subjects to paint. Her unusual way of seeing reveals the essence of Rome and New York to us, as she avoids the banalities that, in later years, will contribute to consolidating the stereotypical image of urban modernity." 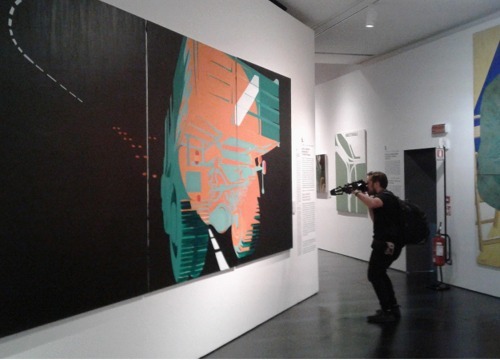 Truck, painted in 1967, is a three-panel work whose total length equals nearly 15 feet. Maselli's largescale work is filmed as part of the 'Monuments Women' TV special. Titina Maselli, the women behind the signature.